September 13, 1776: "We continued in the same direction for a quarter of a league along a well beaten trail near which, toward the south, rise two large springs of fine water, a musket shot apart, which we named Las Fuentes de Santa Clara and whose moisture produces much good pasturage in the small plain to which they descend and in which they disappear. From here we traveled a league northwest over the same trail and crossed an arroyo which comes from the plain of Las Fuentes, and in which there were large pools of water. From here downstream there is much good pasturage in its bed, which is wide and level. We again crossed the arroyo, ascended some low hills which were stony in places, and after traveling two leagues to the northwest we arrived at a large river which we called San Buenaventura. - Today six leagues. This Rio de San Buenaventura (Green River) is the largest river we have crossed, and is the same one which Fray Alonso de Posada, who in the century was custodian of this Custodia of New Mexico, says in a report, divides the Yuta nation from the Cumanche, according to the data which he gives and according to the distance which he places it from Santa Fé. And in fact, on the northeast and the north it is the boundary between these two nations. Its course along here is west-southwest; farther up it runs west to this place. It is joined by San Clemente River, but we do not know whether this is true of the previous streams. Here it has meadows abounding in pasturage and good land for raising crops, with facilities for irrigation. It must be somewhat more than a league wide and its length may reach five leagues. The river enters this meadow between two high cliffs which, after forming a sort of corral, come so close together that one can scarcely see the opening through which the river comes. According to our guide, one can not cross from one side to the other except by the only ford which there is in this vicinity. This is toward the west of the northern crest and very close to a chain of hills of loose earth, some of them lead colored and others yellow. The ford is stony and in it the water does not reach to the shoulder blades of the horses, whereas in every other place we saw they can not cross without swimming. We halted on its south bank about a mile from the ford, naming the camp La Vega de Santa Cruz. We observed the latitude by the north star and found ourselves in 410 19' latitude. September 14, 1776: We did not travel today, remaining here in order that the animals, which were now somewhat worn out might regain their strength. Before noon the quadrant was set up to repeat the observation by the sun, and we found ourselves no higher than 40° 59' and 24". We concluded that this discrepancy might come from the declination of the needle here, and to ascertain this we left the quadrant fixed until night for the north stands on the meridian of the needle. As soon as the north or polar star was discovered, the quadrant being in the meridian mentioned, we observed that the needle swung to the northeast. Then we again observed the latitude by the polar star and found ourselves in the same 410 19' as on the previous night. In this place there are six large black cottonwoods which have grown in pairs attached to one another and they are the nearest to the river. Near them is another one standing alone, on whose trunk, on the side facing northwest, Don Joaquin Lain with an adz cleared a small space in the form of a rectangular window, and with a chisel carved on it the letters and numbers of this inscription-"The Year 1776"-and lower down in different letters "LAIN"-with two crosses at the sides, the larger one above the inscription and the smaller one below it. Here we succeeded in capturing another buffalo, smaller than the first, although we could use little of the meat because the animal had been overtaken late and very far from the camp. It happened also this morning that the Laguna, Joaquin, as a prank mounted a very fiery horse. While galloping across the meadow, the horse caught his forefeet in a hole and fell, throwing the rider a long distance. We were frightened, thinking that the Laguna had been badly hurt by the fall because when he had recovered from his fright, he wept copious tears. But God was pleased that the only damage was that done to the horse which completely broke its neck, leaving it useless. September 15, 1776: We did not travel today either for the reasons indicated above. September 16, 1776: We set out from the Vega de Santa Cruz on Rio de San Buenaventura, ascended about a mile toward the north, arrived at the ford, and crossed the river. Then we turned west, and having traveled a league along the north bank and meadow of the river, we crossed another small stream which comes down from the northwest and entered it by the same meadow. We swung south-southwest for a league and crossed another small stream, a little larger than the first, which descends from the same northwesterly direction and enters the river. From both of them canals can be made with which to irrigate the land on this bank, which also is very good for crops, although it will not be possible to bring the waters of the Rio Grande to them. We continued to the southwest leaving the river which swings to the south through some hills and ravines which were stony in places. We descended to a dry arroyo by a high and very stony ridge, whose slope on the other side is not so bad. As soon as we reached the top we found a trail, one or two days old, of about a dozen horses and some people on foot, and on examining the vicinity, indications were found that on the highest part of the hill they had been lying in ambush or spying for some time without turning their horses loose. We suspected they might be some Sabuaganas who had followed us to steal the horseherd in this place, where it would be likely that we would attribute the deed to the Cumanches rather than to the Yutas, since we were now in the land of the former not the latter. Besides this, it gave us strong grounds for suspecting the guide Silvestre, because the preceding night he casually and without being noticed went off from the camp a short distance to sleep. During the whole journey he had not worn the cloak that we gave him, but today he left the campsite with it, not taking it off during the whole day, and we suspected that he, having come to an understanding with the Sabuaganas, put it on so that he could be recognized in case they attacked us. Our suspicions were increased when he stopped for a time before reaching the peak where we found the tracks, as if thoughtful and confused, wishing first to go along the banks of the river and then to lead us through here. We gave him no indications of our suspicion, dissimulating it entirely, and in the course of our march he gave us emphatic proofs of his innocence. We continued here along the same trail, descended again to the Rio de San Buenaventura and saw that the people who made the trail had stayed a long time in the leafy grove and meadow which is situated here. We continued on the trail through the meadow, crossed some low hills, and camped in another meadow with good pasturage on the bank of the river, naming the campsite Las Llagas de Nuestro Padre San Francisco. We traveled through the hills, canyons, peaks, and meadows mentioned six leagues to the southwest, and in the whole day's march eight leagues. As soon as we halted two companions followed the trail southwest to explore the terrain hereabouts and concluded that the Indians had been Cumanches. Mr. Studer's load consisted of his family and house¬hold goods. Mr. Hill brought groceries, dry goods, bullets and such tilings as the Indians would want. Some time later Mr. Hill was joined by relatives, among whom was Lee S. Chase. He is known for giving Rangely its name, naming it after a Lord from England. This is Rangeley, Maine, our sister city. Ms. Carrie Blakeslee came from Massachusetts in 1888 to teach school, and later that next spring, she and C. P. Hill were married. During this time trappers and hunters visited this locality where the Ute Indian people still roamed. The Hills and Studers took up homesteads and began to cultivate the soil. Mr. Hill opened an Indian Trading Post. All the supplies were freighted in at first from Salt Lake City, Utah by team and wagon, and then from Grand Junction via Douglas Pass. It later developed into a general merchandise store, which from time to time changed ownership, housing and location. Today it is operating under the name of Nichol's store. Cattle and sheep ranching, fanning, shallow oil well drilling and the mining of coal and gilsonite were the principal industries before the oil boom. Among the early settlers were Nick Owens, Jack Banta, Wilson, Jack Walsh, Horace Coltharp, Frank Gillum, Fetcher and Horace Hill (C. P. Hill's father). Others were Nicholas Owens, the J. M. Walchs, the S. C. Swarts, and the Z. T. Banta family. Mr. and Mrs. Hill's family consisted of sons Billy, Everett and Bert, and daughter, Anna, who would be the first person to be buried in the Rangely Cemetery." 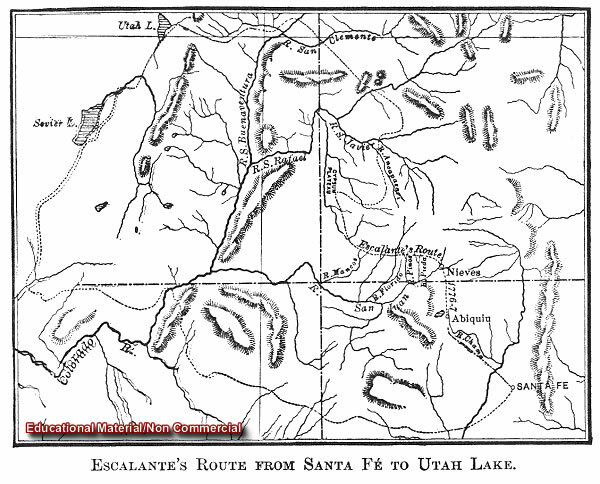 "The Escalante Expedition discovered White River (which they called the San Clemente) and crossed in September 9, 1776, seeking a route from Santa Fe to California, these Spanish Explorers were the first white men to examine much of Western Colorado." September 9, 1776: We set out from the campsite of Santa Delfina down the same canyon, went half a league northwest, then swung north-northwest. Having traveled in the canyon nine leagues in all in this direction, over a very well beaten trail with only one bad stretch which can be avoided by crossing the arroyo a little sooner, and traversing a grove of tall chamise and jara [rockrose] of the kind they call latilla, we emerged from the canyon. Half way down this canyon toward the south there is a very high cliff on which we saw crudely painted three shields or chimales and the blade of a lance. Farther down on the north side we saw another painting which crudely represented two men fighting. For this reason we called this valley Cañon Pintado. It is the only way by which one can go from the summit mentioned to the nearest river, because the rest of the intervening country is very broken and stony. On the same side of this canyon near the exit a vein of metal can be seen, but we did not know the kind or quality, although one companion took one of the stones which roll down from the vein, and when he showed it to us Don Bernardo Miera said it was one of those which the miners call tepustete, and that it was an indication of gold ore. On this matter we assert nothing, nor will we assert anything, because we are not experienced in mines, and because a more detailed examination than the one we were able to make on this occasion is always necessary. Having crossed the canyon we traveled half a league to the northnorthwest, arrived at a river which we called Rio de San Clemente (White River), crossed it and camped on its north bank where there is a fairsized meadow of good pasturage. This river is medium-sized, along here runs to the west, and the region adjacent to it does not have advantages for settlement. - Today ten leagues. September 10, 1776: Because, according to the interpreter, the guide declared the next watering place was far distant, and that even if we started early we could not reach it today, we decided to split the journey. And so, after noon we set out from Rio de San Clemente (White River) toward the northwest, over hills without stones and small plains without pasturage or trees and of very loose earth, and having traveled a league we swung west-northwest for two leagues, over terrain almost level but with many dry arroyos and ravines. Because night was now coming on, and in the darkness the terrain was impassable and dangerous, we camped in the bed of an arroyo which we called El Barranco. In it there was neither water nor pasturage and so it was necessary to watch the animals and keep them corraled all night. From the river to this place we traveled in a straight line and without a trail, because although there are several, they are trails of the buffalo which come down to winter in this region. - Today three leagues. September 11, 1776: As soon as it was daylight we set out from El Barranco toward the west-northwest, and having traveled a league and a half through arroyos and ravines, some of them deeper than those of yesterday, we found in one of them a small spring of water from which the animals were unable to drink. We continued west-northwest for a league, climbing to a ridge by a good and not very high ascent, and from it traveled three leagues over good country with fair pasturage. In the distance we saw a cottonwood grove and asked Silvestre if the watering place to which he was leading us was there. He said "No," that this was an arroyo, not a river, but that it might have water now. Thereupon we went toward it and found plenty of running water for ourselves and for the animals, which were now very much fatigued from thirst and hunger, and a pack mule was so worn out that it was necessary to remove the pack which it carried. To reach the arroyo we swung half a league to the north. - Today six leagues." The Kokopelli is a hump-backed flute player whose Native American heritage dates back as early as 200 A.D. This legendary, well-traveled, and footloose figure was a god to some, a nuisance to others, and a bearer of good luck and health to many. Well-known for his gift of fertility, childless wives begged for his company while unmarried women fled from him with fear. September 9, 1776: "Half way down this canyon toward the south there is a very high cliff on which we saw crudely painted three shields or chimales and the blade of a lance. Farther down on the north side we saw another painting which crudely represented two men fighting. For this reason we called this valley Cañon Pintado." History of Grand Junction: "Grand Junction has a strong history that dates back more than 100 years. In the 1880s, the area was part of the Northern Ute Reservation, although the Native Americans were later moved west into Utah. In September 1881, the area experienced a landrush settlement and a townsite was staked. This town, located in the Grand Valley, was first called Ute, then West Denver and finally came to be known as Grand Junction because of its location at the confluence of the Gunnison and Colorado rivers. By 1883, Mesa County was created from neighboring counties, and Grand Junction was named the county seat. Grand Junction began to thrive when the main line of the Denver and Rio Grande Railroad came into the area in 1887. Soon after, major irrigation turned the Grand Valley into a fertile agricultural area. Today, Grand Junction is home to a number of light manufacturing and service industries. There are also four area hospitals, a regional airport and a number of recreational opportunities." Christopher "Kit" Carson: "Enshrined in popular mythology even in his own lifetime, Kit Carson was a trapper, scout, Indian agent, soldier and authentic legend of the West. Born on Christmas eve in 1809, Carson spent most of his early childhood in Boone's Lick, Missouri. His father died when he was only nine years old, and the need to work prevented Kit from ever receiving an education. He was apprenticed to a saddle-maker when he turned fourteen, but left home for the Santa Fe, New Mexico area in 1826. From about 1828 to 1831, Carson used Taos, New Mexico, as a base camp for repeated fur-trapping expeditions that often took him as far West as California. Later in the 1830's his trapping took him up the Rocky Mountains and throughout the West. For a time in the early 1840's, he was employed by William Bent as a hunter at Bent's Fort. As was the case with many white trappers, Carson became somewhat integrated into the Indian world; he travelled and lived extensively among Indians, and his first two wives were Arapahoe and Cheyenne women. Carson was evidently unusual among trappers, however, for his self-restraint and temperate lifestyle. "Clean as a hound's tooth," according to one acquaintance, and a man whose "word was as sure as the sun comin' up," he was noted for an unassuming manner and implacable courage. In 1842, while returning to Missouri to visit his family, Carson happened to meet John C. Fremont, who soon hired him as a guide. Over the next several years, Carson helped guide Fremont to Oregon and California, and through much of the Central Rocky Mountains and the Great Basin. His service with Fremont, celebrated in Fremont's widely-read reports of his expeditions, quickly made Kit Carson a national hero, presented in popular fiction as a rugged mountain man capable of superhuman feats. Carson's notoriety grew as his name became associated with several key events in the United States' westward expansion. He was still serving as Fremont's guide when Fremont joined California's short-lived Bear-Flag rebellion just before the outbreak of the Mexican-American War in 1846, and it was Carson who led the forces of U.S. General Stephen Kearney from New Mexico into California when a Californio band led by Andrés Pico mounted a challenge to American occupation of Los Angeles later that year. At the end of the war, Carson returned to New Mexico and took up ranching. By 1853, he and his partner were able to drive a large flock of sheep to California, where gold rush prices paid them a handsome profit. This same year Carson was appointed federal Indian agent for Northern New Mexico, a post he held until the Civil War imposed new duties on him in 1861. Carson played a prominent and memorable role in the Civil War in New Mexico. He helped organize the New Mexico volunteer infantry, which saw action at Valverde in 1862. Most of his military actions, however, were directed against the Navajo Indians, many of whom had refused to be confined upon a distant reservation set up by the government. Beginning in 1863 Carson waged a brutal economic war against the Navajo, marching through the heart of their territory to destroy their crops, orchards and livestock. When Utes, Pueblos, Hopis and Zunis, who for centuries had been prey to Navajo raiders, took advantage of their traditional enemy's weakness by following the Americans onto the warpath, the Navajo were unable to defend themselves. In 1864 most surrendered to Carson, who forced nearly 8,000 Navajo men, women and children to take what came to be called the "Long Walk" of 300 miles from Arizona to Fort Sumner, New Mexico, where they remained in disease-ridden confinement until 1868. After the Civil War, Carson moved to Colorado in the hope of expanding his ranching business. He died there in 1868, and the following year his remains were moved to a small cemetery near his old home in Taos. John W. Fremont: He is "one of the United States’ leading western explorers in the 1830s and 1840s, was born in Savannah, Georgia in 1813. He joined the U.S. Topographical Engineers in 1838 and earned a national reputation for his reports on the American West. In early 1846, Captain Frémont and a small mapping expedition arrived along the border of Mexican California. Whether by accident or design, Frémont soon plunged into local political intrigue. After several dustups with locals, Frémont encountered a force of Anglo immigrants and disgruntled Californios who advocated a Texas style insurgency to force California into American hands. These agitators declared California as the Bear Flag Republic in June 1846 and Frémont declared himself the U.S. commander in California and led the insurgents and his regulars in a campaign to neutralize all Mexican resistance. The arrival of U.S. Commodore John D. Sloat and a naval expedition added momentum to the campaign, and, by the end of the summer, all of California had fallen to U.S. forces. Frémont then declared himself military governor of the conquered province. When Brigadier General Stephen Watts Kearny arrived later in the year, the men feuded and Kearny had Frémont arrested and hauled before a court martial. The sensational trial made an even greater celebrity out of Frémont, but he resigned his commission in the army in protest. After the U.S-Mexican War, Frémont served as U.S. senator from California and, in 1856, became the first Republican candidate for president of the United States. He served in the Union army during the Civil War, and afterward was territorial governor of Arizona. He died in New York City in 1890, one of the most celebrated personalities of the Nineteenth Century." John W. Gunnison: He was born in Goshen, New Hampshire in 1812; he graduated from West Point in 1837, second in his class of fifty cadets. After he had served one year in the Florida campaign against the Seminole Indians, his health led him to ask for a reassignment to the Corps of Topographical Engineers, where he spent the rest of his military career. But his new appointment did not take him out of the Florida swamps for another year; in 1839 he helped to build a road in Florida until his superiors were forced to send him to Saratoga Springs in order that he could recover his health. He then finished his southern tour of duty in supervising the construction of a canal in Georgia. While there, he married Martha A. Delony on 15 April 1841. For the next eight years, 1841 to 1849, he was engaged in survey work in the Great Lakes region. He helped plot the boundary between Wisconsin and Michigan, the western coast of Lake Michigan, the coasts of Lake Erie, and the marshy areas of northern Ohio. He was promoted to the rank of first lieutenant on 9 May 1846 but did not serve in the Mexican War, continuing with his duties as an engineer in the Great Lakes area. In the spring of 1849 he was assigned as second in command of the Howard Stansbury Expedition to explore and survey the Valley of the Great Salt Lake. During the trip across the plains in the spring and summer of that year, Gunnison was so ill that he was forced to ride in a closed carriage until, at Fort Bridger, he had recovered sufficiently to take charge of the party the rest of the way to the Mormon capital while Stansbury reconnoitered a new road to Salt Lake City. Lieutenant Gunnison spent the fall of 1849 in a survey of Utah Lake and the Jordan River, with the help of Mormon scientist Albert Carrington. During the winter spent in the city of the Saints, Gunnison made a study of the religion and culture of his hosts which later found publication as a book, The Mormons, a remarkably fair and balanced view for the time. After the spring and summer of 1850 spent in the survey and mapping of the Great Salt Lake, the Stansbury party retraced its route back across the continent to St. Louis and, by the first part of January 1851, Captain Stansbury, Lieutenant Gunnison, and Albert Carrington were in Washington, D.C., where they spent the next five months preparing the maps and records for the publication of the Stansbury Report. Following this assignment, Gunnison was returned to the Great Lakes survey team where he spent the next two years, 1852 and 1853, in mapping the Green Bay area. He was promoted to captain on 3 March 1853. Two months later, on 3 May, he received orders to take charge of one of the expeditions for the survey of a Pacific railroad route. He was to direct his party across the Rocky Mountains via the Herfano River, through Cochetopa Pass, and by way of the present Gunnison and Green rivers to the Sevier River. With Lieutenant E. G. Beckwith as assistant commander, the party left St. Louis on 9 June 1853 and, after an uneventful trip, by 18 October was at Manti, Utah Territory. Then, in what was to become a tragic and controversial incident in western history, Captain Gunnison and eleven of his party encamped near the Sevier River were attacked by a band of Pahvant Indians on 26 October 1853. Only four of the men escaped, the bodies of Gunnison and the other six men being horribly mutilated by the Indians. Despite cries of outrage by some easterners that the Mormons had instigated the attack, Lieutenant Beckwith concluded, as a result of his investigation, that the Mormons were not involved and that the Pahvant Indians had acted in revenge for an earlier attack upon their people by a party of white emigrants. In extolling the career of Captain Gunnison, the Secretary of War especially emphasized his professional skill and sound judgment. Lieutenant Beckwith completed the survey that Captain Gunnison had begun. Dominguez and Escalante: "Very little is known about the early lives of Francisco Atanasio Domínguez and Francisco Silvestre Vélez de Escalante. Though the former was born in Mexico City and the latter in Treceño, Spain, both joined the Franciscan Order at the age of seventeen, and both had served in a variety of missionary capacities and locales before being assigned to the Villa de Santa Fé in the mid 1770s. Domínguez, the canonical inspector of the New Mexico Missions, determined that one of his objectives during his period of service would be to find an overland route from Santa Fé to Monterey, California. Escalante, already with a reputation as not only a strong missionary but a strong explorer, had spent several years among the Hopi pueblos, an experience which stimulated not only a desire to, like Domínguez, find a route to Monterey, but also to discover a "lost" tribe of Spaniards which many Spanish explorers believed existed in the southwest part of the continent, living as a tribe of Indians (Sánchez 58). Their common interest in exploration and documentation naturally brought the two Fathers together, and a strong friendship was formed. In the summer of 1776, Domínguez and Escalante, receiving reports that Francisco Hermenegildo Garcés was beginning from Monterey to forge a trail to Santa Fé directly through the center of the Hopi country, felt the time was right to set into motion their own expedition. Believing that traveling in the midst of the aggressive, warring Hopi tribes would be fruitless, the two Fathers instead felt that a successful trail could be laid through the newly discovered and partially explored territory of the Ute (also known as Yuta) Indians that lay northwest of Santa Fé. With Domínguez taking the lead in the exploration, Escalante serving as the chief scribe, Bernardo de Miera y Pacheco working as the cartographer, and seven other men joining the expedition, the group set out on July 27, 1776. This is the text of that journey, chronicled by the hand of Escalante. The expedition itself, as told in this diario y derrotero (journal and itinerary), details the geography, the flora, and the fauna of Northern New Mexico and of the eastern half of what is present day Utah, including a description of Utah Lake and Mount Timpanogas, located around what is currently the city of Provo. Even more importantly, the journal of the missionaries narrates the encounter with the Utes, the Sabuaganas, the Lagunas, the Payuchis, and other Indian tribes. Though the party, not wanting to be stranded in unknown territory during the winter, eventually changed course and returned to Santa Fé, the journal which resulted from it is, perhaps, of even greater worth than the trail itself might have been. Escalante died in 1780. Domínguez spent the next thirty years of his life defending himself against charges leveled against him concerning his activities as inspector. But the record of their exploration, their observations, and their recommendations was priceless for contemporaneous Spanish colonial settlement and political strategy, as it allowed the governors of New Mexico and California to gain an insight into the nature of the bordering Indian tribes and their lands. It also is invaluable as a historical record today, allowing us to look back at the character of these two Franciscan explorers, their methods of observation and knowledge production, their development of a sense of authorship, and the relationship of the missionary/Indian encounter to the politics of late 18th century Mexico. "The Cottonwood tree has been designated a Colorado landmark by Capt. John Gunnison and dates back to around 1802. A Ute Indian Trail from the Uncompahgre Plateau to Grand Mesa once passed nearby. The tree was dedicated in memory of Chief Ouray and his wife Chipeta who strove to promote peace between the Utes and the white man. Chief Ouray met with white settlers under this tree. Chipeta was said to have been the only Ute Indian woman ever permitted to sit in council metings. Ouray died in August 4, 1880." Chief Ouray: He was a man of peace at a time of war between Indians and whites. Chief Ouray of the Tabeguache band led the Southern Ute Tribe during the mid 1800's - a time of great social and political change, a time when a proud people were uprooted and forced to accept resettlement. Yet, he is revered today as one of the Ute's greatest leaders - patient, diplomatic and unwavering in his friendship toward the whites. Ouray, perhaps one of the greatest chiefs of the Uncompahgre band of Utes, was born in Taos, New Mexico, in 1833. His mother was a member of the Uncompahgre band and his father, Guera Murah, was half Jicarilla Apache. While a youngster near Taos pueblo, he learned to speak both Spanish and English, but preferred Spanish as it was dominant in that area. Only later did he learn Ute and Apache. At the age of 18 he gave up his work as a sheepherder and came to Colorado to become a full-fledged member of the Tabeguache band of Utes in which his father, in spite of his Apache blood, had become a leader. From then until 1860 he lived like all Utes, hunting, fighting the Plains Indians, and visiting with other Ute bands. Ouray lived until August 24, 1880, and was considered an eminently great leader. He directed his powers and energies to the task of solving the many problems arising from the coming of the white men. Illness overcame him on a visit to the Southern Utes and he died on the east bank of the Pine River near the present agency. He was secretly buried in the rocks two miles south of the town of Ignacio. Forty-five years later, most of his bones were recovered and re-interred in the cemetery southeast of the agency and the grave appropriately marked. Ouray is noted mostly for his unwavering friendship for the whites with whom he always kept faith and whose interests he protected even on trying occasions. When he visited Washington. D.C. in 1880, President Hayes called him "the most intellectual man I've ever conversed with." He was about five feet seven inches tall, and as he grew older he became quite portly. His manner was refined and polished, his face stern and dignified in repose but lighting up pleasantly when he talked. He ordinarily wore the white man's broadcloth and boots, but he never cut off his long hair which he wore in two braids that hung on his chest in the Ute fashion. Chipeta: Born in 1843, Chipeta grew up near present day Conejos, Colorado. She was a member of the Uncompahgre (also known as the Tabeguache) tribe, one of seven Ute tribes. At sixteen she married Chief Ouray, the main treaty negotiator for the Uncompahgre Utes. Ouray was a skilled negotiator, and both he and Chipeta befriended white settlers. In 1879, a group of White River Utes killed eleven men, including Indian agent Nathan Meeker, at the White River agency in northwestern Colorado. Several women and children were taken hostage and held for twenty-three days. Oral history suggests that Chipeta had a role in rescuing and housing the hostages. While Chipeta and Ouray were not part of the Ute band involved in the Meeker Massacre, they traveled to Washington, DC, to help negotiate a treaty with the United States government. The Utes ratified the treaty but the U.S. government did not agree to allow the tribes to stay in Colorado. 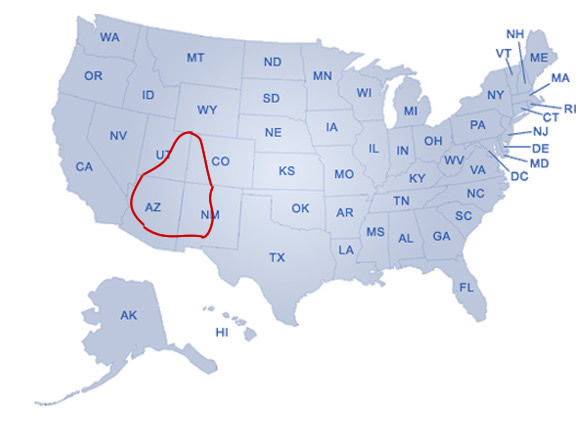 Instead, the tribes were moved to the Uintah Reservation in Utah. Ouray died there in 1880. Three years later, Chipeta remarried and later adopted four children. She died in 1924 on the reservation in Utah. Her body and Ouray's were re-buried in 1925, in Montrose, Colorado. The experience of Chipeta's Ute tribe mirrors the experience of Native Americans in the West. By the 1850s the U.S. government's policy increasingly became one of displacement of Native Americans to specific locations or reservations, often far away from their ancestral lands. "One of the many trading posts built by Antoine (Anton French) Robidoux, first built around 1828 at the juncture of Grand (Gunnison) and Uncompahgre Rivers then a territory of Mexico and Ute Indian Country on the well traveled "Old Spanish Route" that ended in Taos and Santa Fe, new Mexico. Kit Carson, Robert B. Lee and Joe Meek were frequent visitors. The fort remained until September 1844, when most of the ocupants were killed in an attack by the Ute Indians." Antoine Robidoux was born in 1794, one of five sons of Joseph Robidoux, Sr., French-Canadian owner of a St. Louis--based fur trading company. One or another of the Robidoux men are mentioned in many an explorer and immigrant journal of the 1840s and 50s. For the Robidoux family was a prolific clan. In business with Joseph, Sr., were at least two brothers with their sons; one or more had several Indian wives. The men were not quite the cultured scions of St. Louis society that some writers have made them out to be. Most of them maintained rustic, nomadic lifestyles into old age. But they did become wealthy in the fur trade. Antoine the elder (as distinguished from a nephew Antoine) spoke English, French, and Spanish and as a young man worked for his father, helping to extend their trade farther and farther west. By the early 1830s Antoine was developing his own trade route along the Spanish intermountain corridor between Santa Fe and the Uinta Basin. He even became a Mexican citizen to facilitate licensing and partnerships, and he built Fort Uncompahgre on the Gunnison River. Another of his posts was the Fort Uintah referred to in the Westwater inscription. Kit Carson mentioned encountering Antoine in the Uinta Basin in 1833. 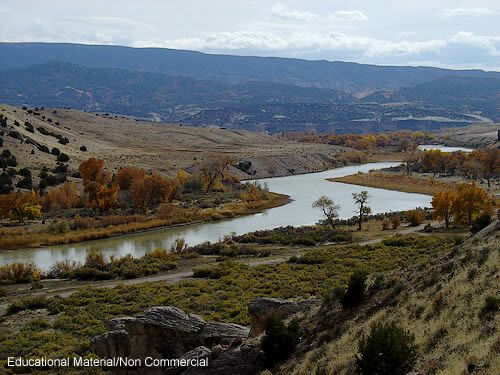 The Westwater inscription reveals that, probably in 1837, instead of ascending the Tavaputs Plateau by way of western Colorado, Robidoux took an alternate route down the Colorado into the Grand Valley and north along Westwater Creek. Upon reaching the Green, speculates one historian, he commandeered Carson's abandoned adobe fort, used it for one season and got flooded out, and then moved 20 miles north to Whiterocks where he built Fort Uintah or Fort Robidoux as it is named on some early maps. He established an almost exclusive trade with the Utes. By 1841 Antoine, approaching age 50, began wintering in the Midwest. His speech on California delivered in Weston, Missouri, inspired John Bidwell to mount the first covered wagon expedition to the Pacific. Perhaps Antoine helped his father--then age 70--found St. Joseph in 1844. Within five years it had a population of 1,800 and for a decade was the main jumping-off point for the Oregon Trail. 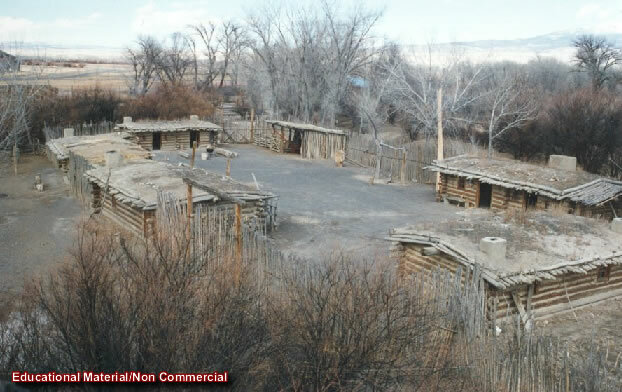 In 1844 Fort Uncompahgre was destroyed by Indians, and the trapping business declined. Antoine spent the next decade as an immigrant guide and army interpreter. In 1846 he was so badly wounded in a Mexican War battle that he applied for a government pension. Montrose History: The town of Montrose was founded in 1882, a short time after the Ute Indians left the Uncompahgre Valley. The founder, Joseph Selig, was reminded of the beautiful lake country of Scotland and named the new town after Sir Walter Scott's "Legend of Montrose". 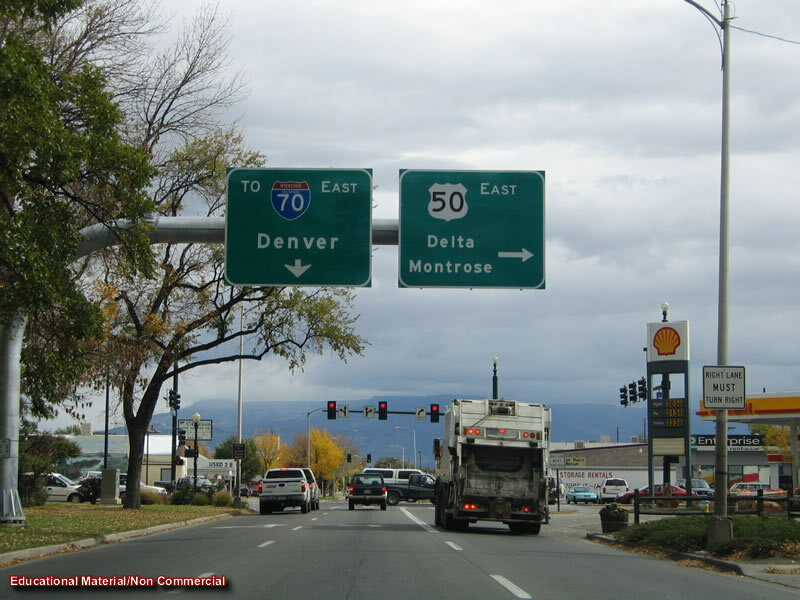 Early Montrose was a typical frontier freight center and cow town. It was the hub of the various mining camps of the San Juan Mountains, serving their many needs. After the narrow gauge railroad advanced to the mining camps, the cattle and sheep empires came into being to satisfy the meat-hungry eastern markets, now that there was a rail transportation to the eastern area. Throughout the years, hunters, fishermen, tourists, and outdoor enthusiasts in general have found the beauties of the five national forests, the Black Canyon of the Gunnison National Park, and numerous ski resorts, all close to Montrose, a reason to visit the area and to sometimes relocate permanently. "The museum lies on the original 8.65-acre homestead owned by Chief Ouray and his wife, Chipeta. Built in 1956 and expanded in 1998, the museum offers one of the most complete collections of the Ute people. The grounds include the Chief Ouray Memorial park, Chipeta's Crypt, and a native plants garden. Recently renovated and expanded, the museum now includes the Montrose Visitor Information Center, gallery space, classrooms, and a museum store. The museum complex includes shady picnic areas, walking paths, and a memorial to the Spanish conquistadors who traveled through the area in 1776. Behind the museum is a link to a walking trail that is a part of a larger city-wide walking trail system." "Following the Meeker Massacre of 1879 and the ambush of Major T.T. Thornburch's relief force, Colorado resident demanded the removal of the Ute Indians. A treaty was signed, but the Uncompahgre Utes proved defiant, and in July 1880, the "Cantonment on the Uncompahgre" was established on this site to guard the settlers and pacify the Indians. After the Ute removal in 1881, the camp settled down to routine garrison duty. In 1886, he post was renamed Fort Crawford in honor of Captain Emmet Crawford killed that year fighting Geronimo's apache Band and by the end of the decade the fort has outlived his usefulness. It was deactivated in 1890, the buildings were sold in auction and the land was opened to settlements." Ouray History: Situated in a river valley at 7,700 ft. in the heart of the Rocky Mountains lies the spectacular mountain town of Ouray, eloquently nicknamed the Switzerland of America. Ouray officially began in 1876 with the eager stroke of the prospector’s pick. However,the future brought with it those simply inspired by its beauty. Because of Ouray’s majestic peaks, cascading waterfalls, natural hot springs, the famous Million Dollar Highway, Ouray Ice Park, and its reputation for being the Jeep Capital of the World, modern visitors flock to Ouray as much for its beauty as the miners of the past did for the riches they hoped to find. Prior to the arrival of the miners, the Tabequache Indians, a nomadic band, traveled to this idyllic setting in the summer months to hunt the abundant forest game and to soak in what they called “sacred miracle waters”. In 1873, the famous Ute Chief, Ouray, reluctantly signed a government treaty releasing the Ute’s treasured San Juan Mountains to encroaching settlers. Chief Ouray was instrumental in keeping peace between the Ute Indians and the many settlers.The town was named in his honor. By 1880 with the frenzy for precious metals, Ouray had grown into a booming mining town with over 2,600 inhabitants. Many of the buildings built between 1880-1900 are still standing. For example, the beautifully restored Beaumont Hotel (built 1886), the St. Elmo Hotel (1898), the Miners Hospital (1887), and the Walsh Library (1899), to the un-restored Livery Barn (1883) and the Western Hotel (1881). Ouray presents a variety of remarkable old Victorian architecture. On the side streets, classic examples of Victorian homes abound, most of them beautifully restored. In 1983, both the Colorado and National Historic Authorities honored the City of Ouray as a National Historic District. The present year-round population of approximately 800 swells considerably in the summer months as thousands of travelers visit this unique valley. Ouray is an outdoor enthusiast’s dream. Whether you set out to conquer the mountains with rope and carbineer, on foot, bike, or four-wheel drive—there’s a route for everyone. Autumn is truly an outstanding time of year, with aspen stands and mixed conifer forests exhibiting glorious displays of golden colors. The winter months are enchanting. At night when the lights meet the formations of ice and snow they join in a shimmering dance of magical light. It's no wonder that this area has been described as the "Gem of the Rockies." Silverton History: The Silverton district opened legally to miners in 1874, following the Brunot Treaty with the Utes. An estimated 2000 men moved into the region that year. They came from across the U.S., many parts of Europe and even China, to endure severe winters and dangerous mining conditions in their pursuit of the minerals they hoped would make them rich. Not all who settled were miners. By 1875 the 100 “sturdy souls” who lived in Silverton proper worked in the post office, sawmills, blacksmith shop, mercantile, newspaper, liquor stores, smelters or assay office. The town’s population grew to 500 by 1876. Life was not easy for any of them. Statistics from Silverton’s cemetery note causes of death in early Silverton as 117 from snowslides, 143 from miner’s consumption, 161 from pneumonia, 138 from influenza (most in the 1918 epidemic) and 202 from mine accidents. People came to the Silverton area on foot and astride mules. In 1879, the wagon road over Stony Pass (12,590 feet) opened. Three years later the railroad reached Silverton, coming north from Durango, relieving Silverton’s isolation. In 1884 Otto Mears operated his toll road between Silverton and Red Mountain town, and then, on into Ouray. By 1887 the railroad had reached Ouray from the north, but it never connected to Silverton from the north due to the rugged Uncompahgre canyon. Mining reached its peak between 1900 and 1912, and the population of San Juan County peaked at 5000. The area boasted four railroads, three smelters, and over thirty mills serving myriad gold and silver mines high in the mountains. Men worked at these remote locations year-round, living in boarding houses, coming off the mountains via tram bucket over long cable tram lines designed to carry the ore from the mine to the mill several thousand feet below. On the rare occasions miners came to town, many of them spent their money in Blair Street’s saloons and houses of ill repute. On a more wholesome note, the town sprouted churches, fraternal lodges, women’s clubs…even a baseball team and brass band. Dances were popular and Silverton had her own ice skating rink. Prior to the twentieth century, the most permanent structures in Silverton were the stone building that is now the Pickle Barrel and the Thomson Block, a four story stone and native brick building built in 1882 which housed the Grand Hotel. The first decade of the 1900s saw a flurry of civic construction: the courthouse, jail, town hall, Miner’s Union Hospital and the jewel-box Carnegie Library were all built at this time. Water and sewer were put in, concrete sidewalks were installed and a municipally owned light plant provided electricity to the burgeoning town. In the years since that glittering decade, San Juan County saw several of the boom and bust cycles typical of the mining industry. The boom cycles saw an influx of people from practically every ethnic group on earth and yielded millions of dollars worth of precious metals, and the bust cycles saw the settlements of the county turn into ghostly reminders of themselves. Financial and environmental setbacks, such as Lake Emma’s flooding of the Sunnyside Mine in 1978, sounded an eventual death knell to Silverton’s mining era. The Sunnyside, the last big mine in the region, closed in the early 1990s. Today’s Silverton, with a population or 500, is a tribute to the survival of a gritty, tough community for whom quitting was never an option. The entire town has been designated a National Historic Landmark. It is a favorite destination for train fans, history buffs, and outdoor enthusiasts. Silverton remains Silver Queen of Colorado, beloved by those who live here and those who come to visit.